Strategy: The trading style of PowerFul Forex is unknown , when I figured it out this will be revised. Here is an account but it's not from the vendor of PowerFul Forex, it's better than nothing. Beware, FXblue.com is not a legitimate 3rd party verification site, so there is no guarantee the results are valid. No customer accounts of PowerFul Forex found. While PowerFul Forex is reasonably priced, there are much better forex robots out there to risk your money on. We can't recommend this at this time. We haven't determined if this is a scam yet. 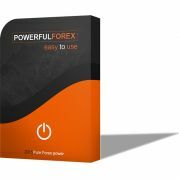 If you've used PowerFul Forex then please give a rating and leave a comment with your feedback.